Well as you all know , my latest AdSense method went viral and a lot of members earned a lot of cash from it. The ebook is easy to follow and many members built a lot of AdSense websites that are generating them money every single month. Unfortunately other members (specially the ones who are new to Cpanel , PHP ..) couldn't follow the ebook and I spent weeks helping each one of them to complete his website. But I can't give support forever , since I'm working on my next guides and I don't have enough time to help all of you. That's why I made an udemy course where I explained everything - step by step. Anyone , even a newbie can setup his AdSense website (full of contents) if he just follows the video courses. The udemy course contains also my private list for FREE as a bonus. Well the best news is that after the release of the method on udemy , we finally got the pirashield protection for it. This means if anyone is using our website files without permission (the meta php and Linux command) , his website will be blocked , or his publisher account (AdSense ..etc) will be banned. Everyone who is using the website files needs to submit only 1 website in case he is using AdSense in all his websites. Which means if you have 6 websites that are using the same AdSense account you need to submit just one of them and that's all. But if you are using CPA and AdSense on your websites , for example 3 websites with AdSense and the other 3 with CPA , then in this case you need to submit one website from AdSense and one website from CPA. 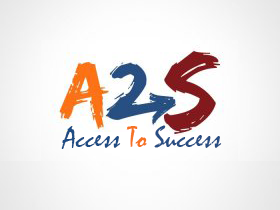 If a group of people are using the same account (a2s username or udemy account) to access the website files , they need also to use the same publisher account (AdSense ..etc) , otherwise each one of them need to have his own access (angeclub subscription or udemy access). I'm really happy that you guys are enjoying my guides , this really motivates me to share even more. Last edited by Angemon; 11-23-2018 at 02:45 AM. ok angemon many tks for this, i´ve added one of my url as requested, tks a bunch! also a great respect for your mission! Just have a little question about do i need some facebook accounts to make this method work!